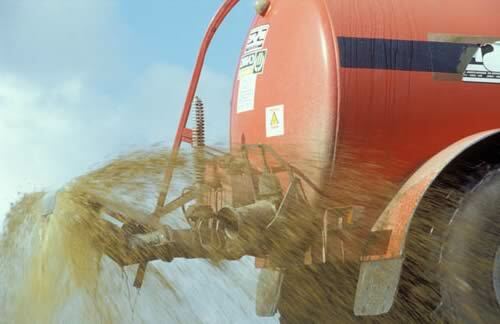 Agriculture is responsible for 88% of UK emissions of ammonia gas which can travel long distances, be damaging to the environment, and combine with other pollutants to form fine Particulate Matter (PM) pollution, which are harmful to human health. Ammonia emissions can have a significant impact on the environment and on our health, and as custodians of the land, farmers have an important role to play in reducing them. Natural England has a team of experts poised to support farmers to take action which will help improve our environment and safeguard our precious natural habitats from the damaging effects of nitrogen pollution. We are committed to making sure that future agriculture schemes mean farmers businesses can work in harmony with the natural environment and ensure wildlife can be enjoyed by future generations. And Natural England teams are already, through the Catchment Sensitive Farming programme, working on the ground providing essential advice and guidance to farmers to tackle pollution to water, land and the air.